In its first seven years, the North American Free Trade Agreement (NAFTA) tripled trade and quintupled foreign investment among the U.S., Mexico, and Canada, increasing its share of the world economy. In 2001, however, North America peaked. Since then, trade has slowed among the three, manufacturing has shrunk, and illegal migration and drug-related violence have soared. At the same time, Europe caught up, and China leaped ahead. In The North American Idea, eminent scholar and policymaker Robert A. Pastor explains that NAFTA’s mandate was too limited to address the new North American agenda. Instead of offering bold initiatives like a customs union to expand trade, leaders of the three nations thought small. Interest groups stalemated the small ideas while inhibiting the bolder proposals, and the governments accomplished almost nothing. To overcome this resistance and reinvigorate the continent, the leaders need to start with an idea based on a principle of interdependence. Pastor shows how this idea–once woven into the national consciousness of the three countries–could mobilize public support for continental solutions to problems like infrastructure and immigration that have confounded each nation working on its own. Providing essential historical context and challenging readers to view the continent in a new way,The North American Idea combines an expansive vision with a detailed blueprint for a more integrated, dynamic, and equitable North America. 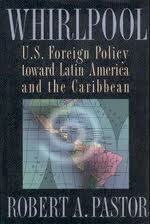 In this second edition of Exiting the Whirlpool, Pastor explores the continuities and the changes in U.S. foreign policy toward Latin America under Presidents Carter, Reagan, Bush, and Clinton. Whereas many foreign policy volumes neglect the role of Congress, Pastor devotes an entire chapter to explaining how it has shaped policy. 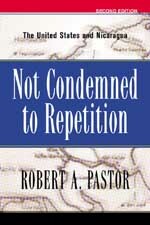 Next, he looks at the recurring challenges that have often pulled the United States into the destructive whirlpool—how the United States has tried but often failed to manage succession crises, pre-empt or undermine revolutionaries, promote or manipulate elections, and encourage or neglect the region’s economic development. Pastor offers a series of far-reaching policy recommendations for exiting the whirlpool and forging a hemispheric community of democracies within a free trade area. The first edition was widely acclaimed. The second is thoroughly updated, offering analyses and recommendations for addressing the contemporary democratic and security challenges facing the hemisphere. Through the fall of Anastasio Somoza, the rise of the Sandinistas, and the contra war, the United States and Nicaragua seemed destined to repeat the mistakes made by the U.S. and Cuba forty years before. The 1990 election in Nicaragua broke the pattern. 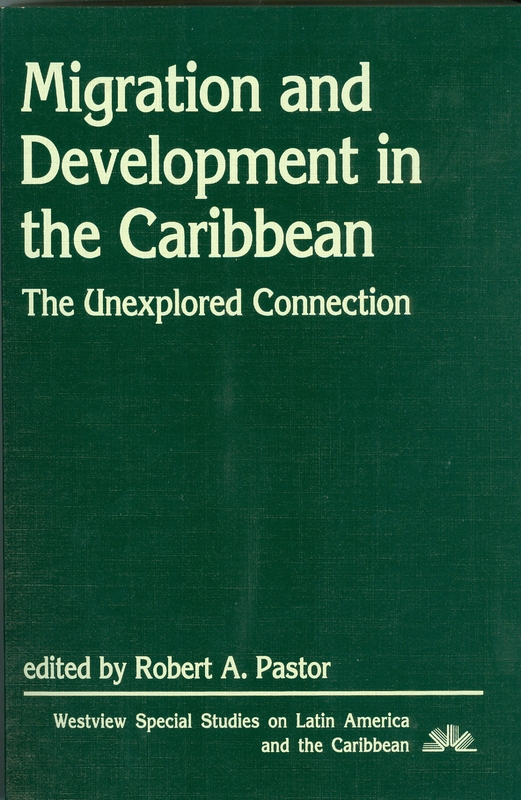 Robert Pastor was a major US policymaker in the critical period leading up to and following the Sandinista Revolution of 1979. 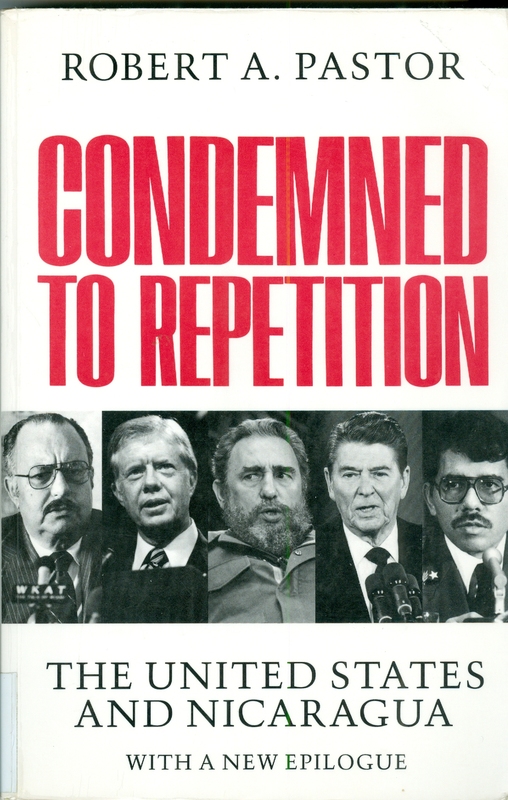 A decade later after writing the first edition of this book, he organized the International Mission led by Jimmy Carter that mediated the first free election in Nicaragua’s history. From his unique vantage point, and utilizing a wealth of original material from classified government documents and from personal interviews with U.S. and Nicaraguan leaders, Pastor shows how Nicaragua and the United States were prisoners of a tragic history and how they finally escaped. This revised and updated edition covers the events of the democratic transition, and it extracts the lessons to be learned from the past. 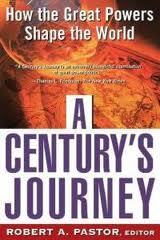 Will the world of the twenty-first century be dominated by global companies, ethnic strife, or rogue tyrants? This definitive volume argues convincingly that the answer depends on the actions of the world’s great powers, which will continue to set the rules affecting globalization, culture, and pariah regimes.In A Century’s Journey, seven influential scholars trace the global strategies of the world’s most powerful countries during the past 100 years. Through authoritative chapters on each great power, readers will learn how these countries redefined their interests in response to momentous changes and reshaped the world so that it bears only slight resemblance to the world of 1900.The scholars and their areas of expertise are Professors Robert A. Pastor (United States), Stanley Hoffman of Harvard University (France), Josef Joffe, Editor of Suddeutsche Zeitung (Germany), Robert Legvold of Columbia University (Soviet Union/Russia), Robert J. Lieber of Georgetown University (Great Britain), Michael Oksenberg of Stanford University (China), and Kenneth Pyle of the University of Washington (Japan). Will the world of the twenty-first century be dominated by global companies, ethnic strife, or rogue tyrants? This definitive volume argues convincingly that the answer depends on the actions of the world’s great powers, which will continue to set the rules affecting globalization, culture, and pariah regimes. In A Century’s Journey, seven influential scholars trace the global strategies of the world’s most powerful countries during the past 100 years. Through authoritative chapters on each great power, readers will learn how these countries redefined their interests in response to momentous changes and reshaped the world so that it bears only slight resemblance to the world of 1900. –Vicente Fox, President of Mexico. The Mexican peso crisis struck in late December 1994, coinciding with a new Mexican administration and the end of the first year of the North American Free Trade Agreement (NAFTA). The crisis poignantly highlighted the success and the inadequacy of the treaty-success in the expansion of trade and capital flows, and inadequacy in institutional capacity. The Canadian, Mexican, and US governments defined the agreement so narrowly that they failed to devise a mechanism that could monitor, anticipate, plan, or even respond to such a serious problem. The new president of Mexico, Vicente Fox Quesada, has boldly proposed transforming the free trade area into a common market like Europe’s. This has evoked lukewarm responses from the Bush and Chrétien administrations, which have not yet developed ways to cope with the new problems stemming from accelerated social and economic integration or to take advantage of North America’s opportunities. In this visionary study, Robert A. Pastor seizes Fox’s idea and maps out the paths toward making it a reality. He analyzes NAFTA’s success and shortcomings, extracts lessons from the European Union’s 40 years of reducing disparities between rich and poor countries, and proposes ways that NAFTA can adapt and incorporate those lessons. 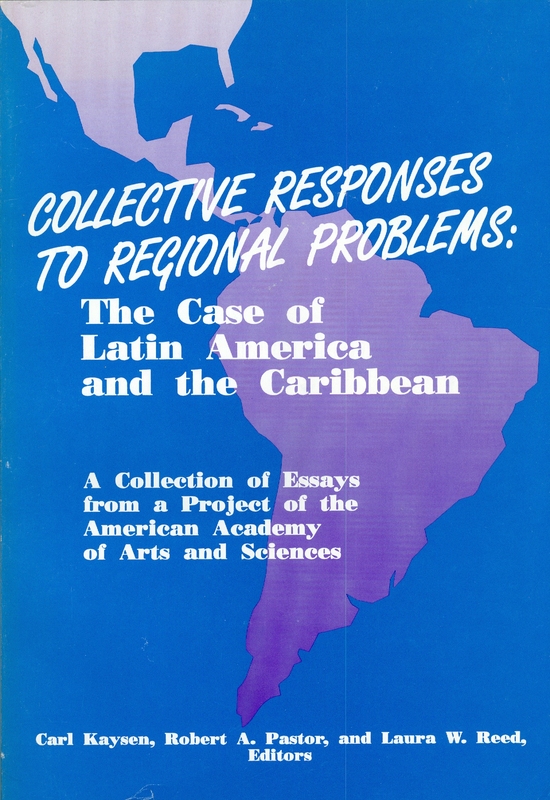 The centerpiece of the book is a detailed proposal and specific recommendations for new institutions and “North American policies,” including plans for infrastructure and transportation, immigration and customs, a unified currency, and projects aimed to lift the poorer regions. The author addresses issues of sovereignty and national interest and concludes with a look ahead toward a Free Trade Area of the Americas. This book is the first of its kind to propose a detailed approach to a North American Community – different from the European Common Market but drawing lessons from its experience. It will be of considerable interest for policymakers in the region as well as researchers and students of international political economy, world trade, and foreign affairs. In 1994, two political events occurred that would have been inconceivable just five years before: the North American Free Trade Agreement (NAFTA) was launched, and Republicans took control of the US Congress for the first time in 40 years. NAFTA aimed to bind the three North American economies after more than a century in which Mexico and Canada had struggled to keep their distance from the United States. Ironically, at the very moment that Canada and Mexico risked a closer embrace, a new inward-looking US Congress took office, less sensitive to neighbors or international obligations. Concerned Mexicans and Canadians asked: Was it possible to advance NAFTA’s goals if the US Congress stepped on the brakes? This book looks at the NAFTA integration process by focusing on the US Congress. More independent and influential than the Canadian Parliament or Mexican legislature, the US Congress seeks to shape the river banks within which North American integration runs its course, but often it just dams the river. The book presents the work of scholars from Mexico, Canada, and the United States who propose changes in congressional policymaking in order to facilitate a smoother and deeper process of integration within North America. 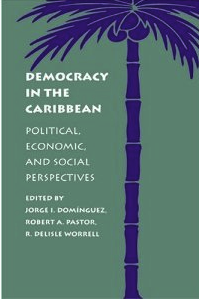 The chapter authors are I. M. Destler, Neil Nevitte, Kim Richard Nossal, Miguel Basanez, Norman J. Ornstein, and George W. Grayson. 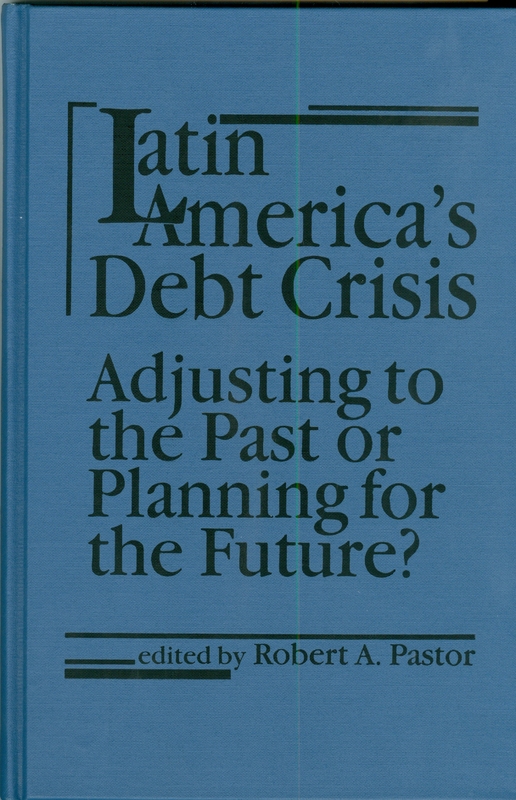 Robert A. Pastor, professor of political science at Emory University and fellow at the Carter Center, is the author of ten books on US foreign policy and Latin America. Rafael Fernandez de Castro is academic dean of the Department of International Studies at the Instituto Tecnologico Autonomo de Mexico and Director of the Program for the Analysis of US-Mexican Relations.